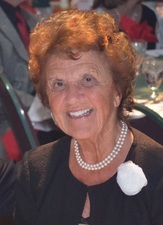 Miriam Esther Hershey Herr, of Nottingham, died of heart and respiratory failure on Sept. 4. She was preceded in death by her husband of 65 years, James S. Herr, founder of Herr Foods, Inc. Together they had five children: June Gunden, wife of Doug Gunden of Peachtree City, Ga.; James M. Herr, husband of Lois Herr of Nottingham; Edwin Herr of Nottingham; Gene Herr, husband of Terri Herr of Kirkwood; and Martha Thomas, wife of Daryl Thomas of Kirkwood. She is survived by 20 grandchildren; and 29 great-grandchildren.